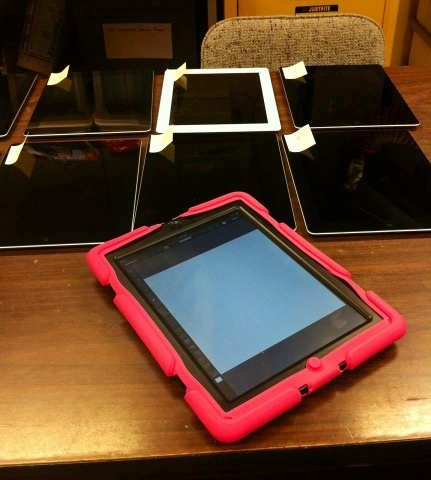 Last week we purchased 10 iPads with Retina displays, 16 gb with wifi for use by the students this summer. As we will have over 20 students this year, we will have to work in teams. This is typical of archaeological excavation where teams of two often conduct excavation. Usually one person excavates and conducts paperwork while one or more screeners collect artifacts and fill out bags. We have enough iPads for excavation of a test trench at the William Kaulehelehe house and the continuing excavations at the Little Prouxl house. Teams will also use iPads at the Old City Cemetery site where we will continue recording in the northwest quadrant (the Masonic quarter by fate). Other testing work using 30-cm round shovel probes (for subsurface survey) and 50x50-cm shovel tests (subsurface survey/testing) will use old fashioned paper forms. We will also have the students take old-fashioned field notes with paper and pencil. Photographs will include those taken by students with the iPads and "old fashioned" Nikon digital single-lens reflex cameras which will be used for feature and profile recording. I am perhaps the last person to give up black and white film but no BW film this year. We will just have to deal with digital archiving for the long term (see among others, Kintigh and Altschul 2010). The weather is currently wet, typical of this time of year in the Pacific Northwest and we are expecting some moist conditions next week when we start. Should be a good way to test use under more muddy conditions. Later it will become dry and dusty. We are also tweaking and testing the pdf forms. We will have the crew leaders test them on Thursday before finally loading them onto the iPads. Forms are a level form, feature form, and bag catalog. Lab Director Elaine Dorset is editing the level form mockup I made and translating them into the other forms. We have gone from a traditional 2 page form to a 4 page form with a more error proof sediment description form. The elevations will be less error prone too. 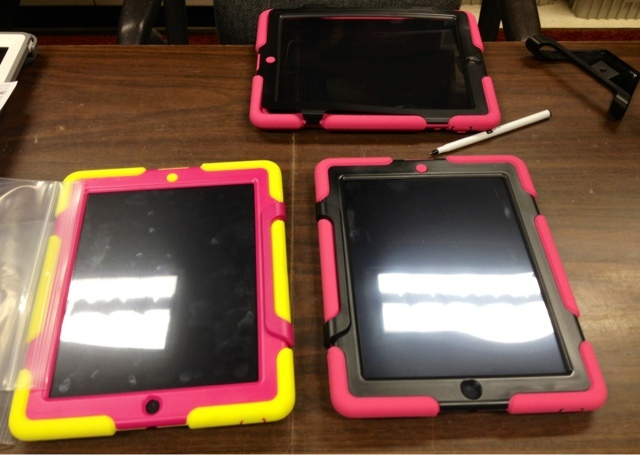 I am putting together instructional materials for the students to go with the field manual that can live on the iPads. Being able to have access to digital instruction manuals and reference materials in the field should be quite novel. I wonder that it may be overwhelming given the nature of fieldwork although access to critical information in the field may improve decision-making during fieldwork. We will see.